Northwest Honkers Alumni player from 2010 and current player of 2014, Travis Bradshaw, was picked up by the Joliet Slammers at the beginning of July. 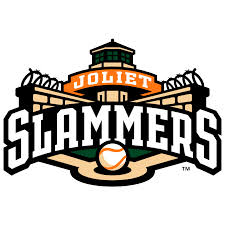 The Joliet Slammers are part of the independent Frontier League based out of Joliet, Illinois right outside of Chicago. Travis is a 6’7″ right-hander who finished up his college career at Western Oregon University in 2012 with a 9-2 record and a 3.41 ERA. He struck out 47 and walked just 9 throwing four complete games. His junior season was spent in the bullpen, recording two saves and finishing with a 3.24 ERA. In 2013 Bradshaw was with the Southern Illinois Miners and finished 3-0 with a 2.80 ERA and allowed just 61 hits in 69 2/3 innings with 47 strikeouts. Bradshaw finished with one complete game in 13 starts and picked up a save in his only relief outing of the season. Currently with the Slammers, Travis has a 1-1 record with a 4.62 ERA and striking out nine. This past Monday night in his start winning 6-1, Travis was named M & M Bank player of the game pitching seven innings and giving up just one run on five hits with seven strikeouts and one walk.